Acute prostatitis occurs due to acute inflammation and when inflammation becomes prolonged due to infection it is said to be chronic prostatitis. Acute prostatitis is generally associated with some diseases like stds (sexually transmitted diseases) which includes chlamydia and gonorrhea. Prostatitis can occur in men of almost all ages involving urinary tract and genital complaints from adults. Sometimes chronic prostatitis follows acute prostatitis. 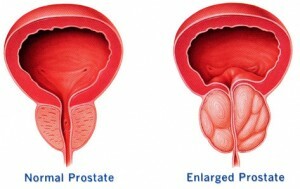 Chronic prostatitis is also associated with infections related to urinary tract. Prostatitis treatment or even prostate cancer treatment is necessary for prostate health that helps to eliminate many prostate problems.